Shield your personal data from spammers, scammers, hackers and more. When buying a domain name, you are required to provide accurate contact information or your domain registration may be terminated as not doing so would violate the domain registration agreement. ICANN (the Internet Corporation for Assigned Names and Numbers which is the governing body for domain registrations worldwide) requires that this information be made publicly available to everyone via a public WHOIS database. This valuable source of accurate contact information is targeted and harvested by spammers and telemarketers, often resulting in unwanted and unsolicited contact, and potentially identity theft and and fraud. When you order privacy protection for just £5 ex VAT per year, we replace all your publicly visible contact details with alternate contact information so that when a WHOIS query is performed on the domain, an alternate mailing address, email address and phone number are displayed. Importantly, you retain full ownership of the domain and have full control of it via our client area at all times. Your contact information is public! Your contact information remains hidden. Anyone who tries to contact you using the alternate email address or phone number provided in the public WHOIS database will be directed to an Online Contact Form which will in turn email the message to you. Can privacy protection be used on any domain? The majority of domains are eligible, with the exception of .eu, .asia, .ca, .au, .de, .es, .in, .nl, .nz, .ru and .us. Privacy Protection is additionally unavailable on .co.uk, .org.uk, .me.uk and .uk, however an alternative 'Whois Optout' is available for these domains, providing the domain is registered to an individual and not used for business purposes. 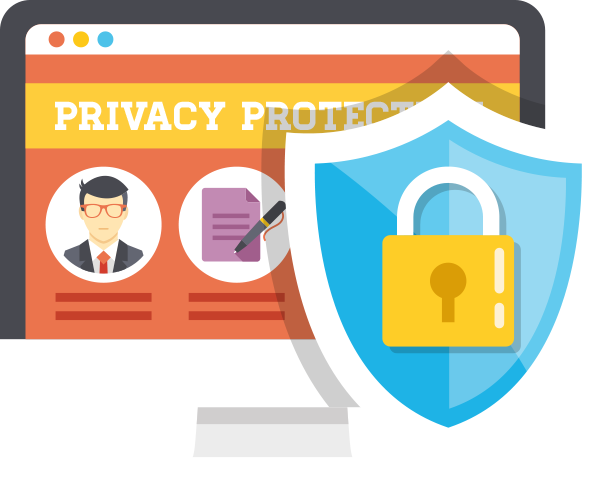 How can I order Privacy Protection? For new domains, you will be asked during checkout whether you wish to add Privacy Protection, if the domain is eligible. If you have an existing registration, you can enable privacy protection from your client area. Letters and packages delivered at the Postal Address would not be accepted. This is detailed in the whois results itself. If people email or phone they will be directed to an online form they can use to contact you, and correspondence to this address will be forwarded to you. Your email address is never exposed. Do I still own my domain? Yes - this service simply protects your privacy, it does not change who owns your domain name.